Don’t act with children or animals is old cliché … or expect nature to perform as you’d hope would normally be equally sound advice. Willow Emerald, a late individual, 7 November 2017. 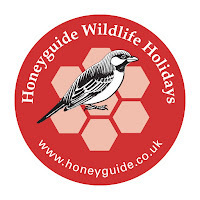 However on our monthly guided walk round NWT Thorpe Marshes one evening in July 2017 we had a stroke of luck you would never dare predict. There is a pretty damsel of which I am rather fond. The Willow Emerald Damselfly has a remarkable story anyway. It’s been in the UK just a decade. First found in Suffolk in 2007, it’s been at RSPB Strumpshaw Fen for several years and at Thorpe Marshes since 2013. Willow Emerald distribution 2017, courtesy British Dragonfly Society. 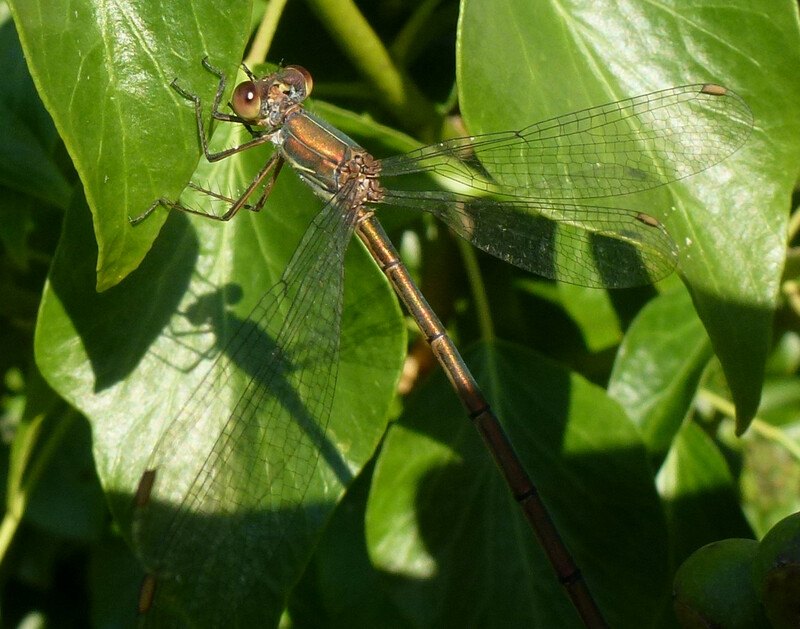 A remarkable characteristic of this species is how the damselfly lays its eggs into small cuts made in a thin branch. This leaves a distinctive, regular pattern as scar tissue forms. That branch is always over water as the eggs overwinter there and larvae drop into the water in the spring. They develop underwater then emerge as adults in late summer. Derek Longe, a regular at Thorpe Marshes, wrote a short, illustrated paper about his observations here for the specialist journal Atropos. At Thorpe Marshes, Derek and I have found Willow Emerald egg-laying scars on two species of willow, ash and alder. That’s a good range of ‘host’ species, but not out of the ordinary. Derek also photographed his surprising discovery of damselflies laying eggs into dead, brown bramble, rather than their usual choice of young, live twigs. We were talking about this with our guided walk group and Derek produced a copy of his paper. 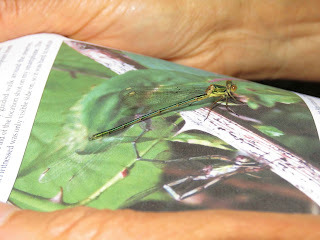 A Willow Emerald Damselfly appeared, as if by magic, and landed on his paper. It stayed long enough for Derek to capture the moment – the photo shown here.